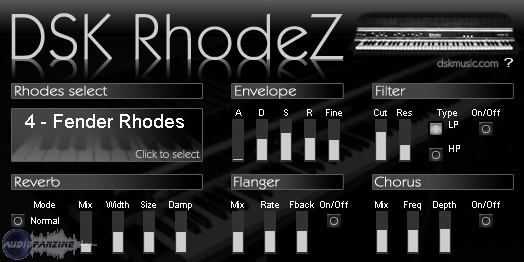 RhodeZ [Freeware], Virtual Electric Piano from DSK Music. 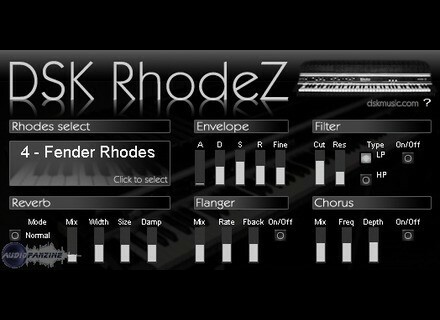 Once again, DSK Music spent more time carefully preparing their new freeware than looking for a complex, long and impossible to remember name for it, as this RhodeZ is (as you may expect) a virtual electric piano. DSK Music's RhodeZ can be downloaded for free here. If you are willing to show your appreciation to this project and the work it represents, you also have the opportunity to make a small (or not so small, your choice!) donation. Universal Audio about to announce UAD-2 As some AudioFanzine community members have pointed out, Universal Audio is definitely preparing a new evolution to its famous UAD DSP Card. Platinum Samples Glamouflage Kit Platinum Samples presents the Glamouflage Kit QuickPack for BFD, a virtual drumkit produced by "Evil" Joe Barresi. Virsyn releases Prism Virsyn has announced the official release of Prism, "the pitch designer", a multi-band pitch shifter which allows realtime pitching of complex sounds.